Save Time. Save Accuracy. In many busy laboratory environments, time is wasted waiting for balances to stabilize and adjust to their surroundings. But saving time doesn¡¯t mean you have to sacrifice accuracy. 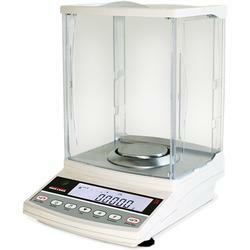 The TA Series is Rice Lake¡¯s first ever analytical balance to feature the mono-metal tuning fork sensor. A tuning fork system eliminates the need for stabilization time while maintaining the accuracy and precision you expect in an analytical balance. Plug In & Go: Unique tuning fork technology cuts startup time by 90%, eliminating the need for stabilization time while maintaining exceptional accuracy. Anti-static Shield: A 360¢ª anti-static barrier prevents localized charges from depositing on the balance. Stray charges are prevented from impacting the weighed material, thereby eliminating a cause of error while allowing for a full view of the weighing area. RS-232 Interface: The RS-232 interface is equipped to connect to a PC, printer, or other outside device, allowing users to create and print data records for ISO/GLP/GMP compliance. Automatic Calibration: Calibration is fully automatic and can be prompted with the touch of a button using the system¡¯s Automatic Repeatability Measurement (ARM) and automatic span adjustment. 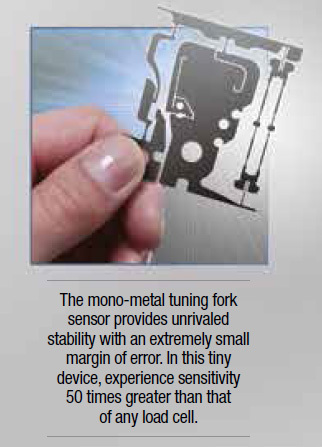 Stability: The mono-metal tuning fork sensor provides unrivaled stability with an extremely small margin of error. In this tiny device, experience sensitivity 50 times greater than that of any load cell. Fully Programmable: The TA Series has remarkable flexibility with a large selection of modes to fit your needs.